We all dream of having perfect white teeth and with whitening treatments becoming increasingly available offering little to no down time, it’s never been easier to achieve the ultimate smile. 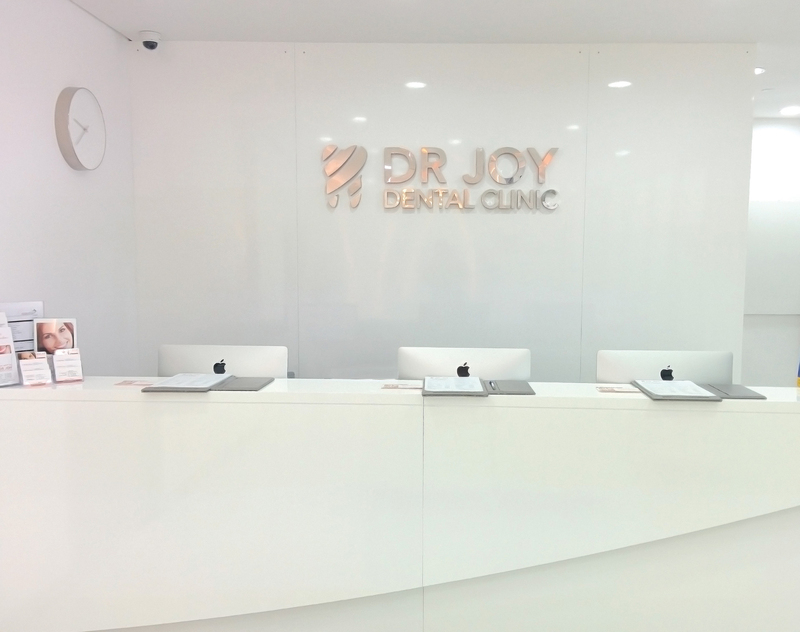 Dr Joy Dental is a renowned dental centre in the UAE with branches in Jumeirah, BurJuman, Mirdif and Karama and offers a wide range of specialist services, one of those being teeth whitening. As an avid drinker of caffeine my teeth were in need of a little bleaching so I popped along to the Jumeirah branch to see what they could do. Tea and coffee are notoriously bad on the whiteness of your teeth with the acidity in coffee wearing out the enamel, which over time not only affects the appearance of your teeth with unsightly yellow stains becoming a feature, but it also leads to decay. The enamel in our teeth is porous in nature and unfortunately, caffeine penetrates pretty easily and gradual staining occurs. Whilst there are plenty of toothpastes on the shelves in the supermarkets that promise a brighter, whiter smile for a few mere dirhams, if you’re looking for a drastic improvement it is necessary to take a trip to the dentist. We’ve all heard horror stories of unbearable sensitivity after teeth whitening procedures but I’m pleased to report this is most certainly not unanimous so there is no need to be apprehensive about booking in. Dr.Joy Dental matches specific teeth whitening treatments to each individual person in your initial consultation so you’re able to share your concerns then. With three whitening options on offer here; Zoom, laser and home treatments, you’re carefully guided through the process of what is right for you. With Zoom teeth whitening for example, you even receive take away whitening trays for you to use in the months following your actual treatment to help maintain the new colour of your teeth yourself, so you actually end up getting the best of both at-home whitening trays and a professional performed service. They say the first thing that people notice about you is your smile and with so much riding of first appearances it’s important for both vanity and health purposes to keep your smile as clean and white as possible. Zoom, which is the service I was recommended, is a professional whitening system frequented by celebrities, TV makeover shows and mere mortals alike, a popular method of achieving a vastly different shade of white without damage to your gums or enamel. Flicking through before and after photos, and as mine also show, you can achieve quite a dramatic whitening result with just one initial session. This type of treatment is performed in the clinic, which in Jumeirah is light, airy and about as comfortable as the dentist’s chair will ever get. The most important thing for me was not only were the staff international and able to communicate in a variety of different languages which immediately puts expatriates at ease, the waiting areas are well stocked with magazines and friendly faces to take away any dentist-chair dread. Starting with a good clean, teeth are prepped and preened ready for the whitening treatment which lasts around 40-45 minutes in short cycles to ease any discomfort. It’s worth taking before and after photos to really see the difference that just one session of Zoom can do. After your hygienist has scaled and polished, all soft tissues around the teeth are covered with a protective barrier to stop the Zoom gel penetrating these sensitive areas. The Zoom gel is then applied and activated by a light emitted from the connected Zoom lamp. This particular system is so popular due to not only a shorter treatment time but also that it allows your dentist to vary the intensity setting according to your needs. For example, my teeth are quite sensitive and after the first 20 minutes I asked for the intensity to be turned down a notch which was immediately performed and I was back to enjoying the movie I was watching through my special video goggles (worth the trip alone!) As you can see with my before and after shot here, you’ll notice an immediate improvement. Expect some mottling of the enamel immediately after the procedure as the whitening treatment works it’s magic, this should subside in little less than two days and if like me, you have crowns or veneers remember these do not change colour so be sure to ask your dentist to match as close as possible in shade. Within the hour you’ll leave the chair with a brighter, whiter smile armed with trays that have been moulded to your own individual teeth shape to use at home at your leisure. It cannot be underestimated the confidence that a sparkling smile brings you, and for any future dental appointments I’ll be visiting Dr. Joy Dental.